Our van is mended!!! Things all work as they should again, for a while at least. First stop was Elcamp – motorhome dealer just a few km away who stocked all the parts we needed – sadly just not in UK sizes :(. Not to be thwarted by minor details the guy there gave Iain a steady supply of bits to try. We parked in their forecourt and Iain spent an hour modifying parts – hey presto water now runs in the manner and the places it should. We couldn’t get a new ignition for the oven – a lighter works anyway, but hotplates do ignite again. Loo door fixed – things that should be private can now be kept so. Lastly, the LED strip has a band-aid over the flashing bits – no more cab disco. Yes we know the power of sods law is something will fall off next week. But why carry a big box of tools if you aren’t going to use them? Iain is still glowing with his status as motorhome Super Hero and is available on all campsites for repairs (though not wearing his pants outside his trousers)!! 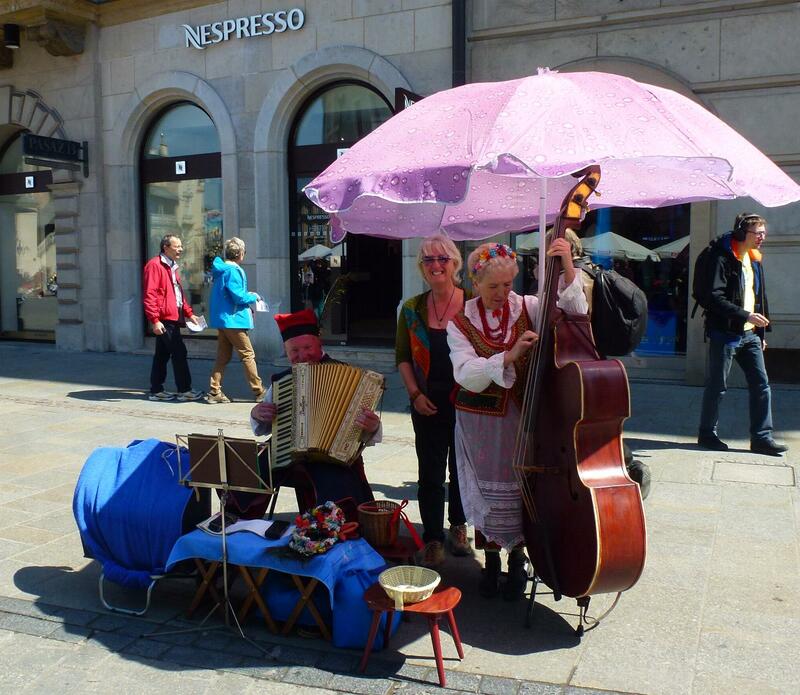 Krakow – holy moly we didn’t expect even half of that. We walked down to the tram (we love trams) cost £3 to ride all day. 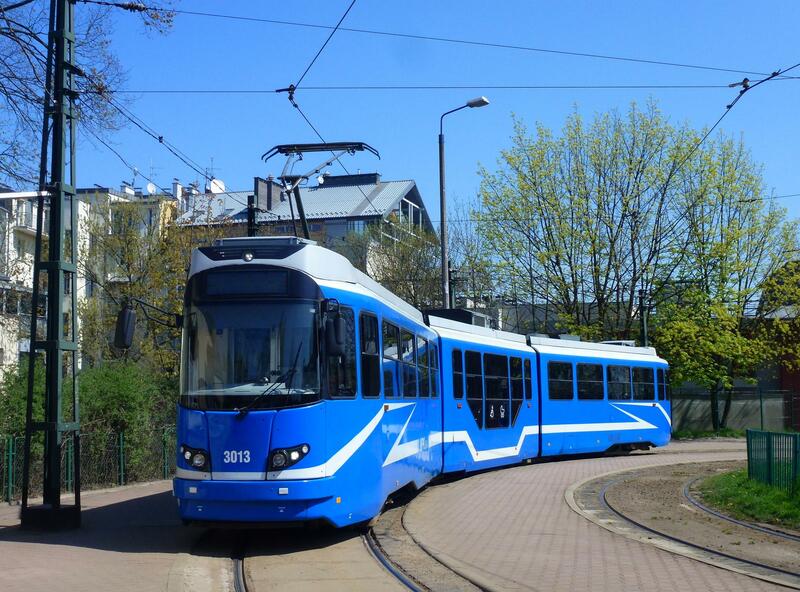 There isn’t just one type of tram there are loads – old fashioned, new, retro – its tram heaven. Our plan was to jump trams for the day, nothing organised like knowing where to go and get on and off – hence at the end of the day we found ourselves leaving the city in the wrong direction – just a good excuse for another tram ride. 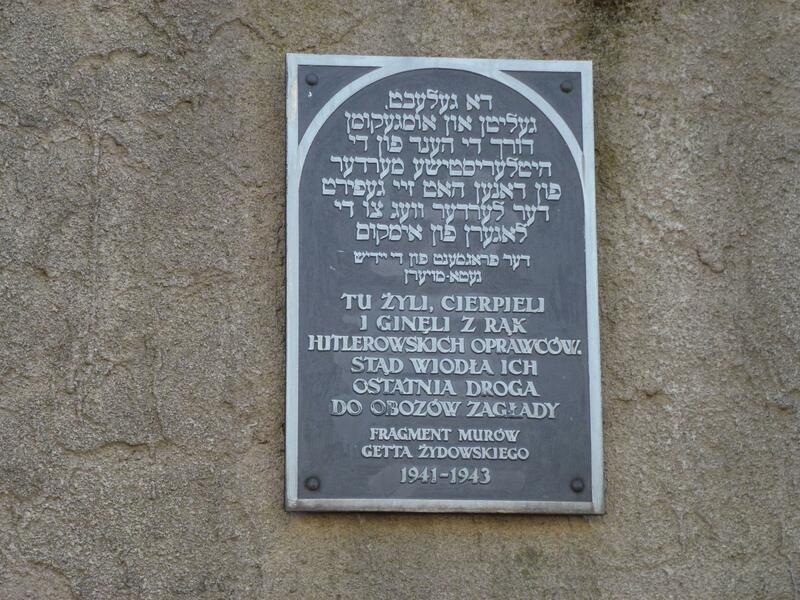 Once off the tram in the city we were approached by a milk float – trips around the city, old town, Jewish quarter, anything from 30 minutes to all day on a little electric buggy (they were swarming everywhere). 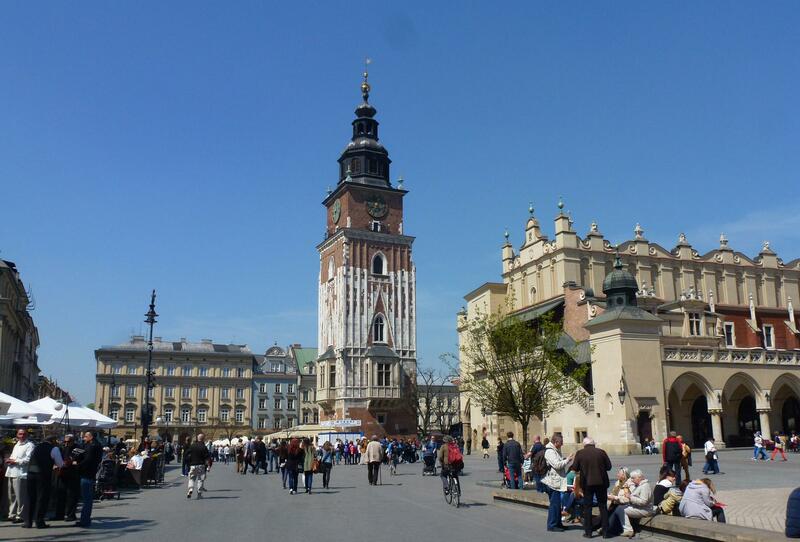 We did the old town, just us for £7 each, the tour took in 40 historic buildings or monuments. Not sure I could, even if I wanted to, tell you all we saw. Our eyes were out on stalks and heads spinning trying to take everything in. Everywhere there were palaces, churches, mansions and theatres with incredible historic architecture. Loved the Archbishops palace with a permanent gigantic portrait of Pope John Paul II gazing down from a window to celebrate his time as Archbishop of Krakow, he is without doubt a much celebrated son of Krakow (even though he was born up the road at Wadowice!). The medieval square, the largest in Europe, is without doubt dazzling. In every direction there were buildings that took our breathe away. Add to the whole mix a good touch of Polish early summer and just enough people for atmosphere but not chaos and it was perfect for us. We loved St. Mary’s Basilica, where on the hour, every hour, a bugler plays a trumpet signal. The tune stops mid-stream, to commemorate a 13th century trumpeter who was shot in the throat sounding an alarm before a Mongol attack – over 800 years and still remembered every hour – that is some recognition of the original guy. 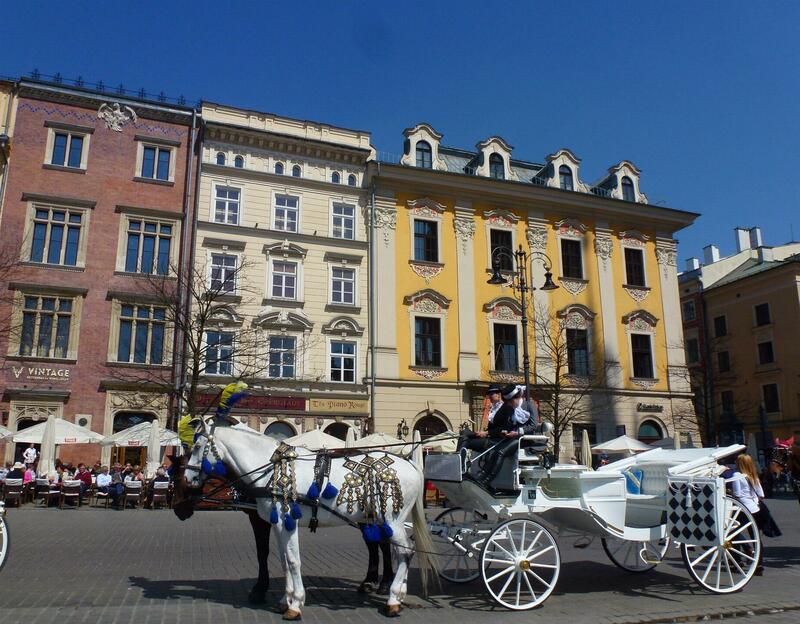 From the square there were horse and carriage rides around the city, street entertainers varied from lads doing street dancing, jugglers, clowns to the opposite end being a couple singing traditional Polish songs with an accordion who you could have your photo taken with for less than 50p (I so had mine done). 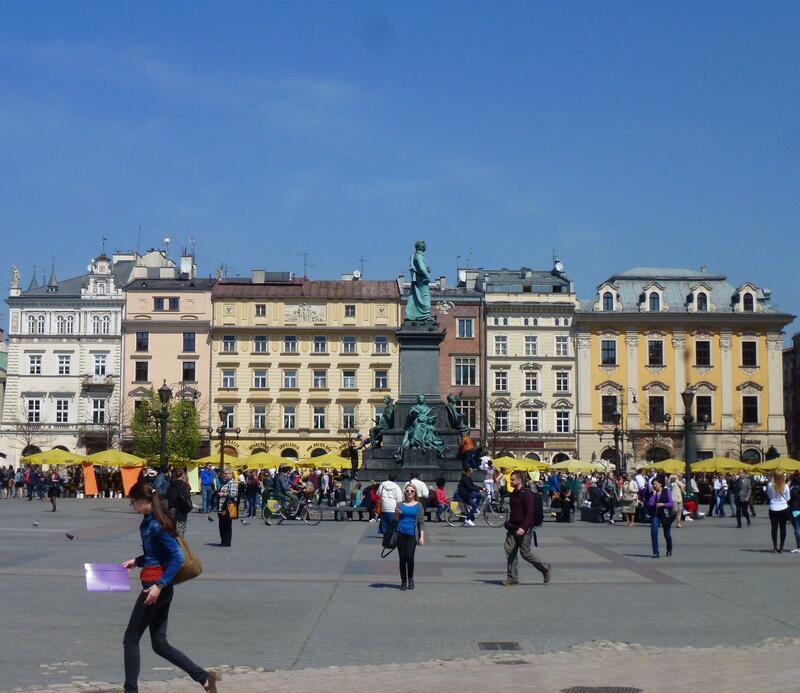 We loved the square, we had lunch there sitting in a pavement cafe watching Poland pass by, has to be one of our trip highlights. 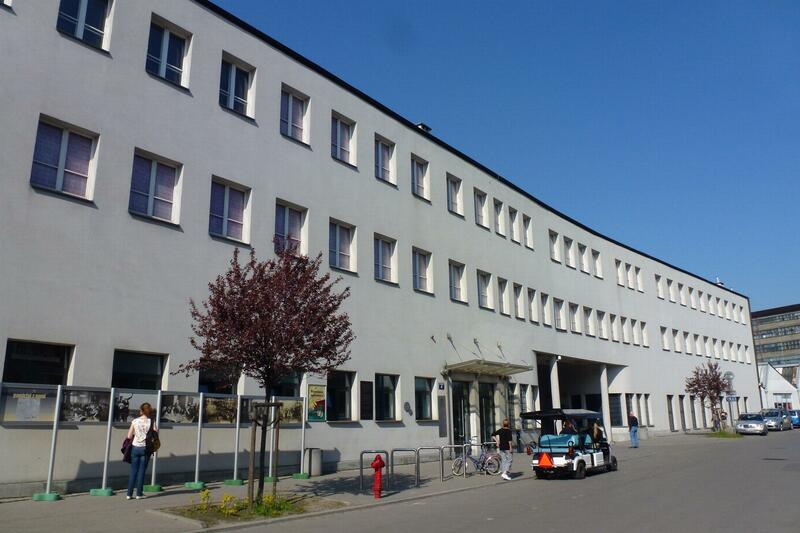 We planned to walk down to the Jewish Quarter and find Oscar Schindler’s factory. What should have been a 15-20 minutes walk – took well over an hour. Krakow is good at many things, street signs are a bit rubbish though. 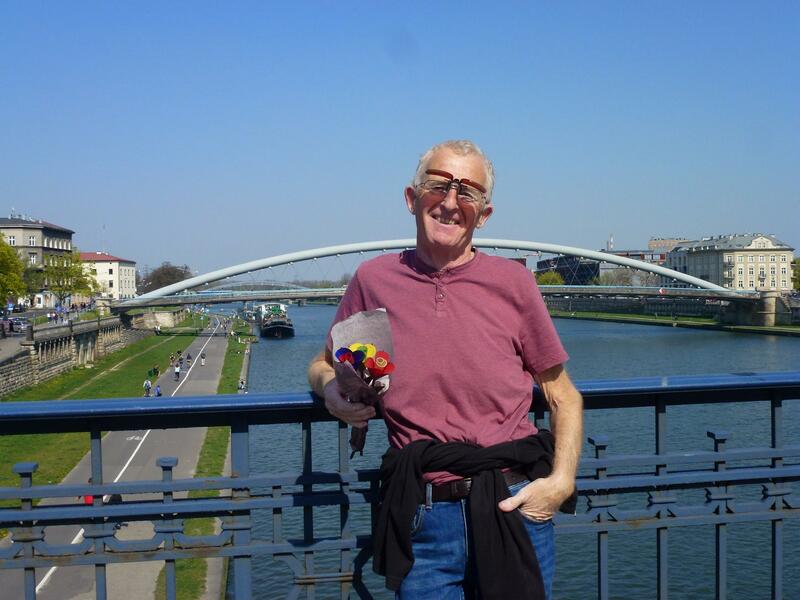 A couple of lads came and asked us if we knew where to find the factory, as we were all at a blank they asked a taxi driver who waved in the general direction of over the river. We walked more, we turned left, right, back you name we couldn’t find it, we asked locals who stared blankly and had no idea what we were on about. In the end I went into a printers where the owner kindly showed me on a computer then printed off a map. The factory has been restored as part of a city museum for arts and a history of Jewish life in Krakow, there is an inscription plague to Schindler and also many photos of many of the survivors who he helped to save. I was disappointed it didn’t have the factory sign. Another must visit but by then we had been on the go for seven hours and were shattered so we took a few photos and didn’t do the inside tour. Back at Kemping Smok (favourite campsite name to date) we have experienced a phenomena not witnessed for the last 4 months – other campers – motorhomes are turning up every day. We have a German couple one side and a Dutch couple the other and we have traded life histories between the six of us in 3 days. A young English couple also on site who have toured Europe for just under 2 years sleeping in the back on their jeep – more power to them. 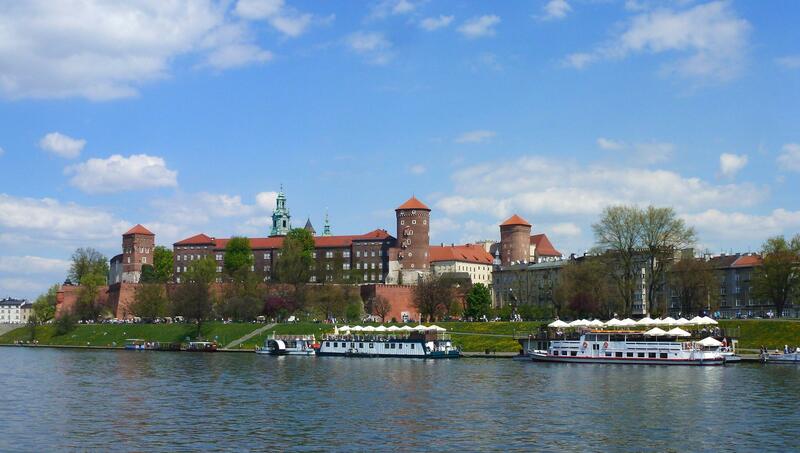 For the last two days we have attempted to see as much as Krakow as we can from the cycle paths. Cycling and inline skating are both very popular around Krakow – there is a definite dress code probably more expected in the French Rivera than here – there are cycle paths everywhere. Yesterday we rode 20-ish miles along the superb River Vistula path out of town to Tyniec, a small village with a ginormous benedictine abbey and a river-side beach just right for a Pepsi stop. 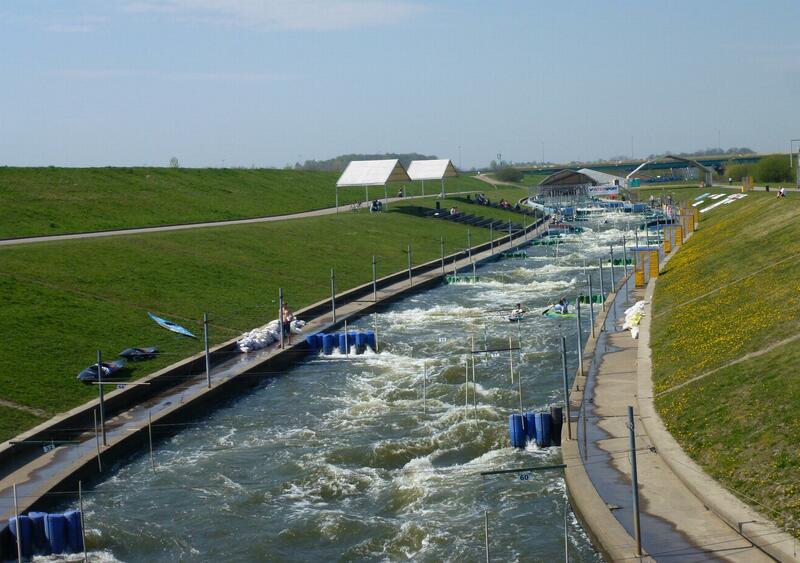 Coming back on the other side of the river was Kolna White Water Rafting Centre, only £2 a trial lesson – no way, we both wimped out and made do with spectating. Today we rode into the city, paths along the river right through the centre and out to the shopping centres (needed a new camera as ours have both gone into meltdown). So many people, too many people, it was a gorgeous day sun blazing but way too busy for us. The river has views of many of the buildings in the old city but that bit of distance that allows better perspective. We managed 20 miles around and about before collapsing in a heap back at the campsite this afternoon. Four days in Krakow and fairly sure we could have done another four days and not seen and experienced everything the city has to offer. We are confirmed non city folk but this place grabbed us both totally. Niedzica, literally 50 metres over the border, a small but well developed ski resort with a few nursery slops into the village, a reservoir, two castles and numerous hotels and pensions. 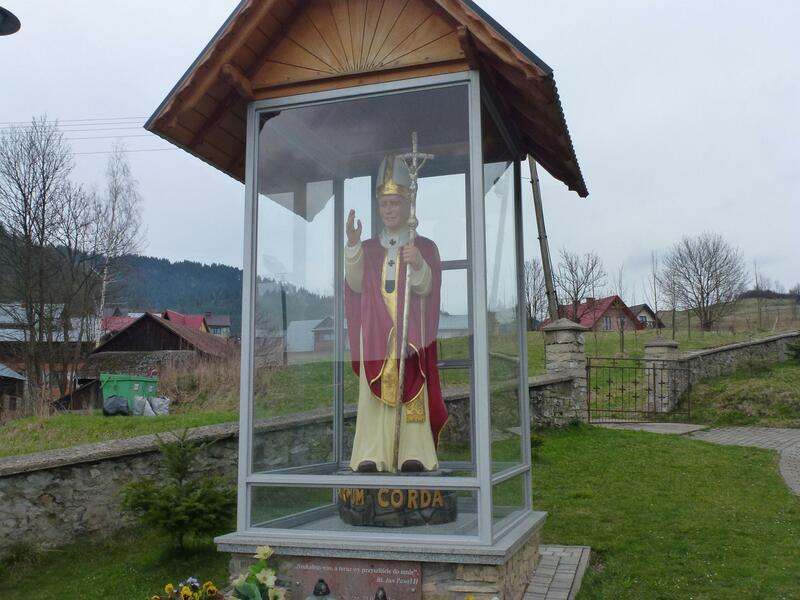 For some reason we couldn’t fathom they keep a life sized model of Pope John Paul II in a box outside the church! In contrast the last village in Slovakia was just 30’ish small cottage type houses, five of which had been converted into alcohol shops – we guess its cheaper to buy booze that side of the border. On the polish side the houses were much bigger, more Austrian design with lots of wood and deep overhanging eaves. We did walk back over the border Sunday – I realised I hadn’t bought a magnet, from Slovakia so off we went and luckily the first bottle shops sold them :). The main castle, known as both Niedzica and Dunajec, claims to be the most picturesque in Poland and was fairly spectacular. Built in 1320 it was perched high on the hill until the river was damned creating an artificial lake on one side of the castle.. The tourist info says the best view is from the second castle, Czorsztyn, on the other side of the lake. It was absolutely freezing and snow in the air so we took their word for it and made do with photos from the damn. 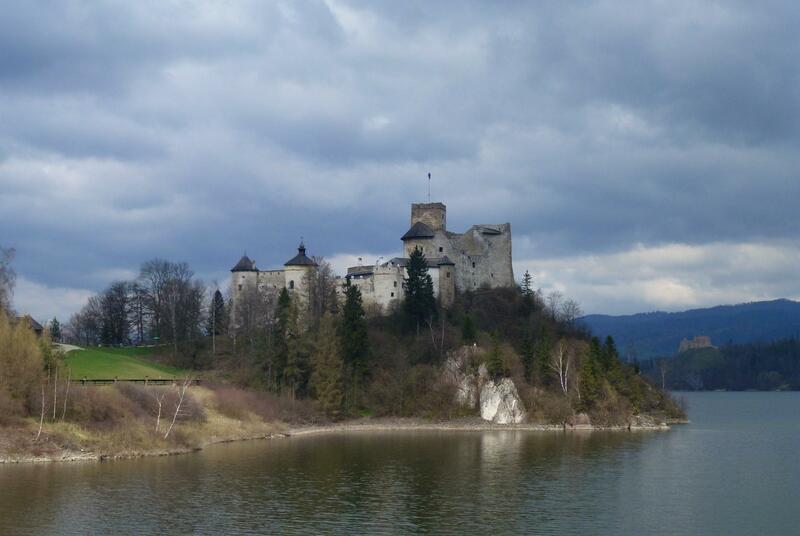 Whilst only a few zloty to get we gave it a miss, more of a museum as most of the castle is in ruins inside – and of course there were signs of ‘haunting’ so best to avoid those! 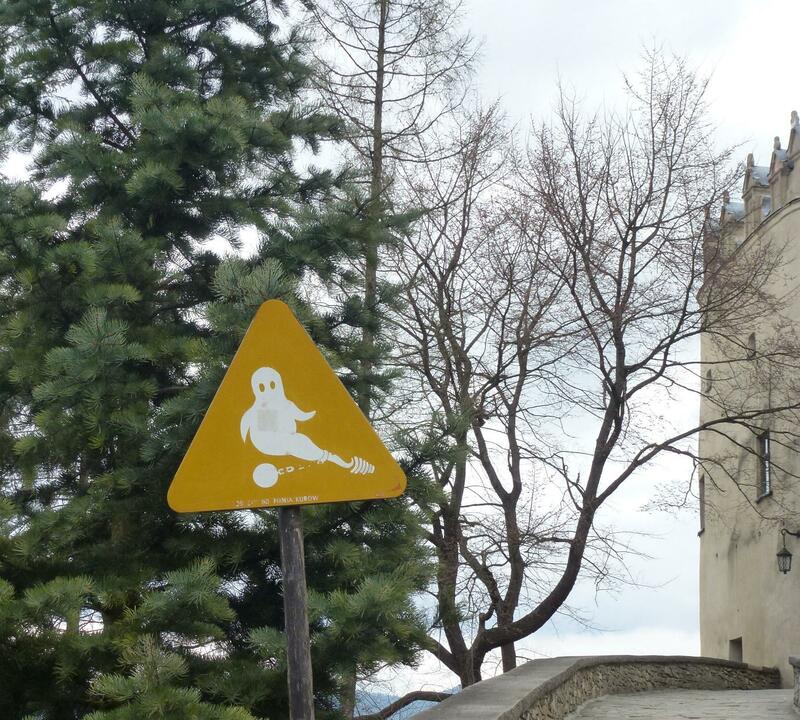 Warnings of haunting at the castle! Instead of touring castles we went out for lunch. For once we found a typical authentic restaurant (not a toasted sandwich we usually end up with). Iain went for ‘bigos’ a traditional soup of sauerkraut, cabbage, smoked meats and tomatoes, sounds rough but not a bad choice at all. I on the other hand went for ‘pierogi’, a boiled dumpling filled with potato and onion – something like a wet ravioli with steamed mash – no-where near as good as the soup and it’s not something we will be trying again. For under £8 for two meals including a large latte each we can afford to eat out in Poland occasionally – hurrah. On route to Oswiecim is the Chabówka Rolling Stock Heritage Park – “Skansen”, on the site of an old steam depot constructed during WWII. For the ‘spotter’ (read Iain there, he may deny it but he is really) its an Aladdin’s cave of steam locomotives, electric and diesel locomotives, snow ploughs and rail mounted cranes plus a selection of heritage carriages and freight wagons. The line there was never electrified or modernised, so nearly all the original railway furniture is in place. When we arrived it was open, no one charged us the £2 to get in or the £2 to take photos, people waved or smiled but no-one wanted our money – can’t beat that! It seemed they were getting ready for official opening with plenty of people painting and cleaning but nobody worried who came in for a look around or a climb on the footplates or even a walk on the lines on which the odd shunter was moving. Our first impressions of Poland are how clean, modern and just big everything is. The roads are brilliant, we paid a toll today for 40km it was £2, in general though most rolls are toll free. After several weeks of seeing Lada, Skoda and Trabant on every corner this is definitely BMW, Audi and Mercedes country, and the driving speeds have increased in line with the road surface and engine sizes, boy racer territory for sure. Houses appear to be built with the plan of big and bling – three of four storey, plenty of colour on the walls and roof, and garden ornaments seem overly popular. It feels like we are back in a fully fledged Western European country for the first time since Italy. 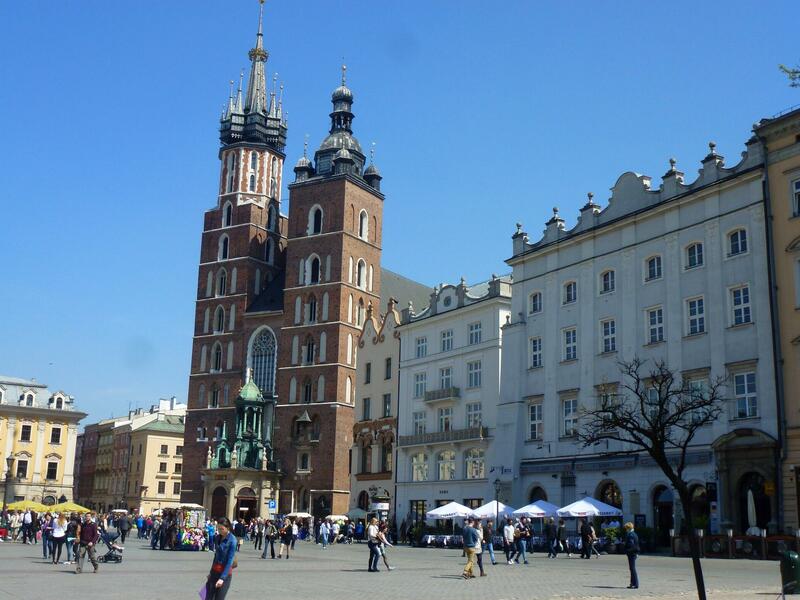 We are now in Krakow, arrived this afternoon at Camping Smok just a tram ride out of the city centre. As luck would have it one of the largest motorhome service centres in Poland is five minutes from the campsite (thank you someone up above), Iain rang them today and they stock our tap so we are popping round tomorrow, fingers crossed water could be running where it should be soon! 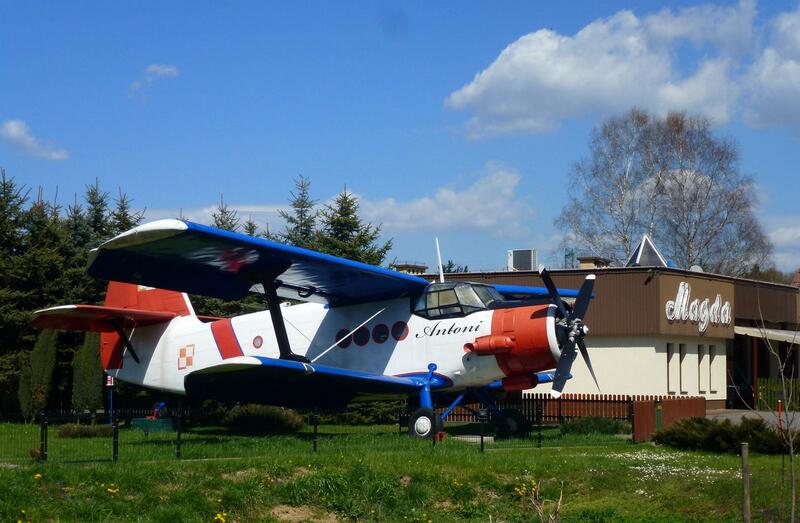 On route to Krakow – bigger than the average garden ornament! 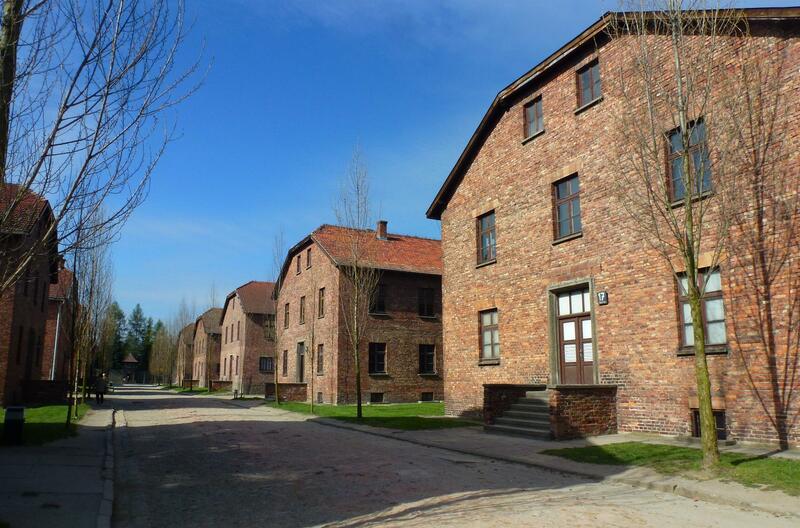 Since we first decided to take this trip we agreed our route would need to take in Auschwitz. 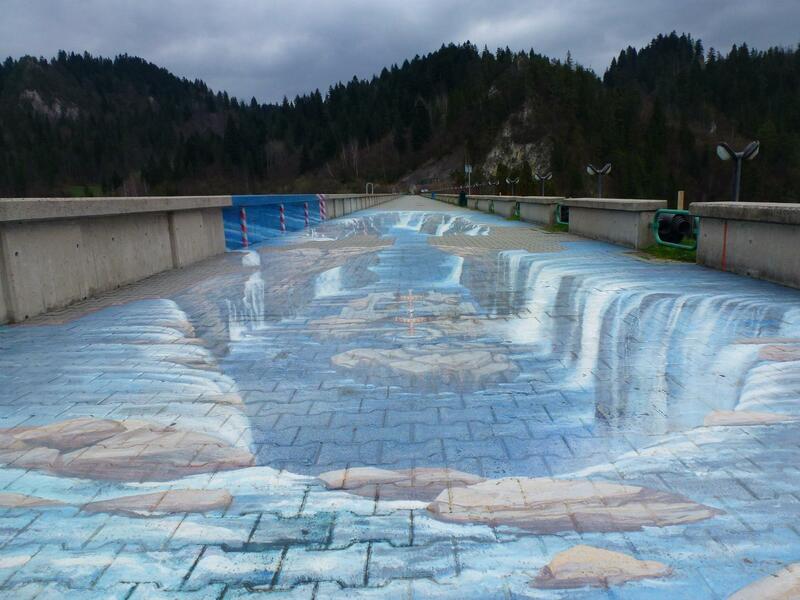 Somewhere we both felt we would like to see and as importantly should see. We found details on the internet of the Centre for Dialogue and Prayer, just a few hundred yards away from the museum and offering full motorhome and campsite facilities in the grounds of their conference centre, which were less than five minutes walk from the museum, we pulled in Monday afternoon planning on visiting Tuesday. Entry to the museum requires you join pre-set tours from 10 am onwards, we saw the crowds the afternoon before and decided against that. Instead we went in a 8am, literally us and a dozen others without guides were the only people on the site. From the moment we passed under the infamous “Arbeit macht frei” (work makes you free) signs on the gates there was so much to take in and think about. One of the most shocking things we saw were the belongings – hundreds of suitcases, hundreds of thousands of shoes and literally tons of human hair. And also the photos, showing the dates of birth, deportation and death of so, so many – absolutely heartbreaking. By 10 o’clock the guided tours were coming through and it was nearly impossible to see anything inside the exhibitions so we went off to see Auschwitz-Birkenau II which is just 3 km up the road. 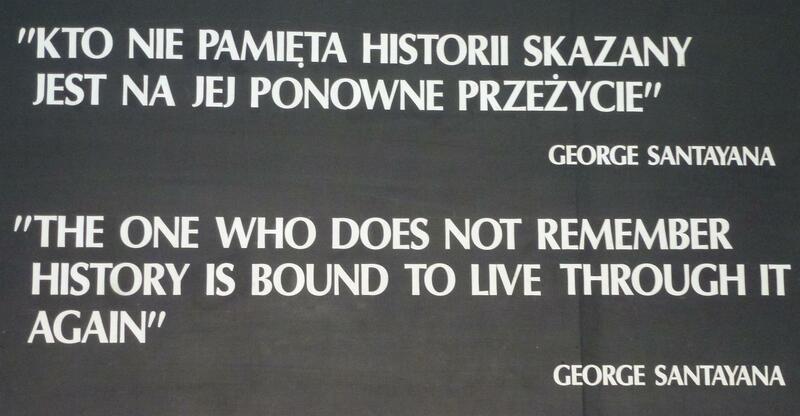 If it is possible then Auschwitz Birkenau II was even more thought provoking. The scale is colossal – the site stretched as far as we could see. Where the huts and barracks no longer stand the brick chimneys do, hundreds of them that once housed over 500 people in each hut. The crematoria were demolished just before the allies arrived but the piles of rubble, masonry and even parts of the roofs are still at each place – even the stairs that lead down to each are still visible. 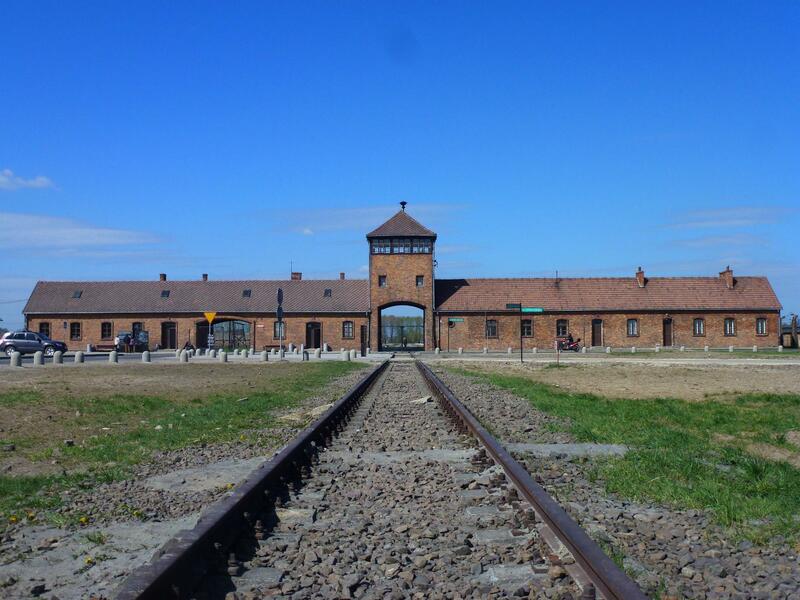 Without a doubt the most poignant part for us was the railway lines leading up to the entrance of the camps and the platforms where selection took place. I could write thousands of words about what we saw but the history is too well known for that to be necessary. 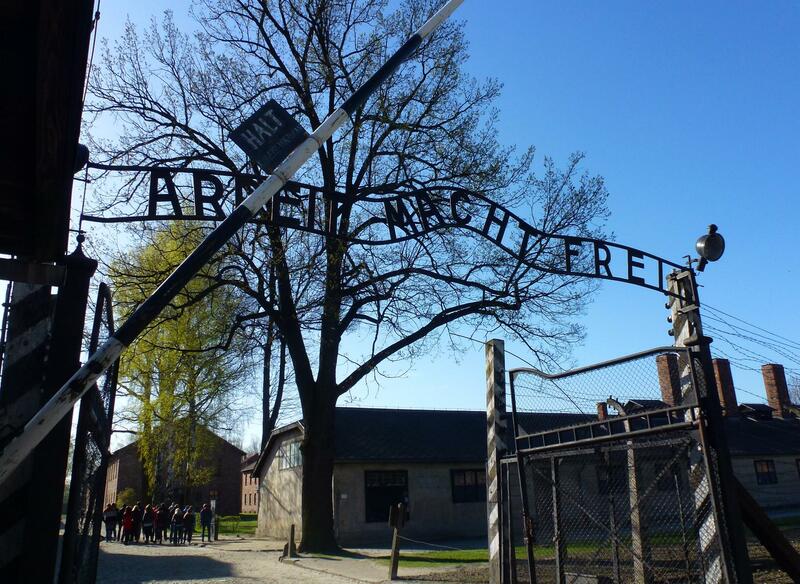 Suffice to say visiting Auschwitz is forever etched in both our memories.